You can stop smoking easily, whilst programming your mind to heal your body. Cravings are eliminated without turning to food or being irritated. Stop smoking with hypnotherapy today! Until now you may have pushed thoughts of stopping smoking to the back of your mind even though you see the adverts of smokers lungs, you know the truth of the inevitable and you may even know people that have suffered severe health challenges or even death due to cigarettes. You know you have to be ready first and foremost, whatever your reasons may be. Whether for the quality of your health, for your finances, for your life literally and certainly the longevity of being with your loved ones. Millions have stopped smoking cigarettes and if they can do it, so can you! Now is the time to stop smoking with a proven method that works for those committed to health and wellbeing. Hypnotherapy is recognised as the number one treatment in becoming cigarette free easily without more chemicals, side effects, or cravings. Become a nonsmoker today, be free of cigarettes, free of nicotine, free of the financial burden, free of judgement and self criticism to free up your life and energy. An addiction is an impulse to move you away from feeling bad and move you towards feeling good. Your habits of thought influence your habits of action. Your mind wants you to experience joy, it is easily programmed with repetition and what you tell it. You influenced yourself with repetition and what you told yourself when you first started smoking, even though you may have coughed, not liked the smell nor the taste but you persevered and there the programme began. Fortunately hypnotherapy and NLP are all about building healthy aligned personal choices and programmes. Cigarettes are a stimulant, but many override that fact by the dellusion that they are giving themselves a break. There are many breaks you can take and cigarettes don’t have to be that break. The great news is that the smoking programme can be updated to another healthier alternative with hypnotherapy. If you have been puttting off smoking cessation until now you may recollect the story you had told yourself? By updating your story with enthusiasm of how being free will change your life for good in so many ways you influence yourself to align your actions with your knowledge and decision. Utilising hypnosis, changing your thought process, listening to your personalised hypnotherapy recording daily, and getting yourself more aware of how you can motivate yourself in being a non-smoker ensures success. It will be like becoming your own NLP Life Coach as much of what we do together is transferable. 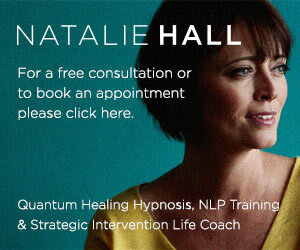 Hypnotherapy combined with NLP gives you the targeted support required to change the habit. Repetition and belief build life habits and hypnotherapy adjusts the emotional charge, this way you are in control. Long term success is almost always achieved. Physical, mental and emotional wellbeing starts from your first session, get in touch now. I offer 1-to-1 hypnotherapy sessions to stop smoking in the Bournemouth & Poole area of Dorset.